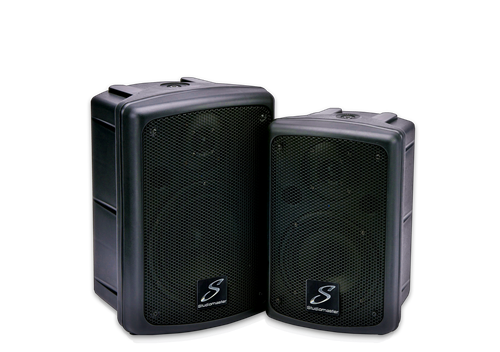 The PAS/PS range comprise of 6″ and 8″ two way powered (PAS) and unpowered (PS) speakers. Ideal for Clubs, Bars, Restaurants, Schools, Churches. If you need a clear, responsive and space saving PA system, the PAS/PS series are the perfect solution. All models have a hard wearing injection moulded cabinet, robust steel grille and integrated feet, they also include wall mounting brackets, giving you total freedom to get them in the right position. The active PAS models have internal amplifiers with jack inputs, suitable for line and mic levels. Up to 80watts of clear sound and a tone control to help emphasise high and low frequencies.